Welcome to the final instalment of our Eric Gregory Award 2017 ‘How I Did It’ series. We asked the winners of this year’s awards to explain the process their award-winning poems. 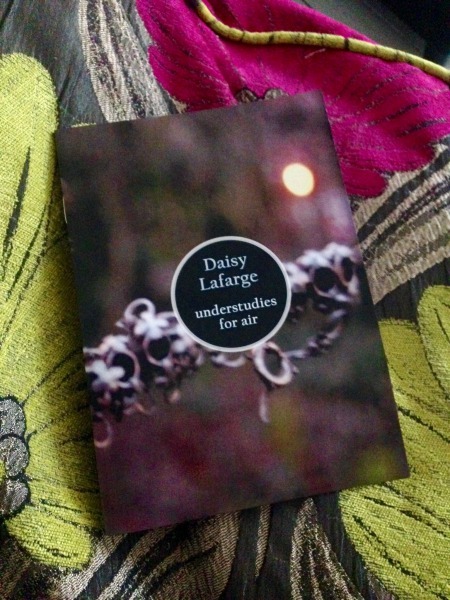 Last up is Daisy Lafarge talking about her pamphlet, understudies for air – published August 2017. The Eric Gregory Awards 2018 will open for entries in September. understudies for air – a total of 23 poems (or 23 parts of one poem) – came together in all the ways it shouldn’t have. To begin with, I’d been writing nothing but prose and academese for months, and had dramatically, bitterly declared to a close friend that I was ‘done’ with writing poems. Such crises are entertaining in retrospective but cripplingly believable in their prime; my friend did the right thing by not taking me at all seriously – but letting me think he did. Tip: find a friend like this. While crises take any number of forms – often unrelated (or oblivious) to whatever has prompted them – this particular one had come about with regard to the problem of position and voice. Who did the poem’s voice belong to, if anyone? And by its own speaking, what other voices – histories, subjectivities – did the poem speak over? Was I really sure it was deserving of airtime? The last poem I wrote before the understudies sequence was a long, fractured preamble to these anxieties. sixteen bells for a white marriage (published in Swimmers pamphlet #4) comprised a lyric loosely addressed to a friend, written in a staccato first person of ‘I, I, I’s, making it snag, stutter and trip on its own terms of expression. The ‘I’s peal awkwardly throughout the poem, and when counted make up the sixteen ‘bells’ of the title. That had felt like the end. How was I going to find a way around ‘I’ – that I was sick of – but that kept ‘I’s intimacy & urgency? & whose ‘I’ anyway? Maybe because I thought was ‘over’ writing poetry I didn’t exact the usual censoring & harsh judgement on my note-making: I kept a pad in my pocket at all times & scribbled down words, phrases, concepts – everything felt deliciously vital & relevant. The old anxieties weren’t clamant because I wasn’t – I still don’t know how my superego fell for this – writing ‘poems’. I moved onto my laptop & the thing that came first was the word understudies. What would an ‘understudy’ poem look like? A poem that is not quite ready to be a poem but might get called to the stage to act like one. Artists make sketches before moving on to the final work, but often sketches are the work; the more I thought about ‘understudy’ poems the more I realised there had to be a whole company of them: sketches towards possible poems. This notion – that I wasn’t writing poems but something towards poems – took off a significant amount of pressure, & is maybe why I wrote them in a more concentrated period than I have with anything else. I felt less accountable for them, less policing of their voice & position – because I knew these were multiple. Content & subject matter are perhaps harder to gloss – not to mention the dreaded ‘this poem is about …’ that usually sends my attention elsewhere. What I can do instead is talk around some of the catalysts. I’d long been thinking on and off about air, through a number of mutually distorting lenses: pollution, dystopian (and actual) privatisation of resources, Pre-Socratic philosophy & the ‘porosity’ of infancy: what can be absorbed (or malabsorbed) in the primal, familial ‘air’. Parental weather: stormy or mild. All these things collide in the poem/s that make up understudies. ‘air’ runs through understudies & escapes from the pinning & naming of it enacted by each title: ‘pyrophoria air’; ‘pestilence air’; ‘nostrum air’; ‘scarification air’ (and so on) – hopefully allowing enough space for the reader’s gauging of air(s). I’d hoped each ‘definition’ remained partial and transitory, but containing its own warped truth – like a child’s magical thinking. like cellulite from the headland. and cleave the dunes around them. 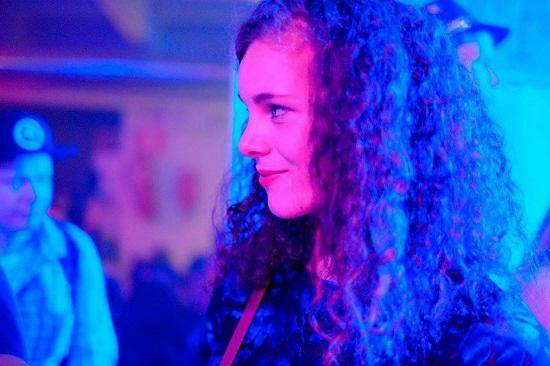 Daisy Lafarge lives in Glasgow. She was awarded an Eric Gregory Award in 2017. Her pamphlet understudies for air is out now, published by Sad Press. Cover Image: Dark Clouds Over Holkham Beach by Guy Beauchamp. A filter has been placed on this image. License.